Bring a regal feel to your kitchen or bathroom cabinetry with the Liberty Glenview 1-3/8 in. Knob. The thin, but sturdy base allows the top of this unique knob to stand out and show off the glamorous design that it possesses. The premium satin nickel finish along with the high-quality zinc die-cast base material makes this knob a must-have piece for any decor. The rear-mount feature allows for ease of installation. From Liberty Hardware, the Lindley Knob is a simple design that will complement casual or rustic style cabinetry or furniture. The knob combines a 1-1/8 inch diameter rounded square design with a timeless Satin Nickel finish. It provides the perfect finishing touch for your existing or new home décor. From Liberty Hardware, the Harmon Knob is a classic design that will complement traditional or casual style cabinetry or furniture. Crafted from die-cast zinc for long lasting quality and durability. Installation hardware is included and multiple finishes are available. 1-3/8 Glenview Knob, 1 per package Bring a regal feel to your kitchen or bathroom cabinetry with the Liberty Glenview 1-3/8 in. Knob. The thin, but sturdy base allows the top of this unique knob to stand out and show off the glamorous design that it possesses. The premium satin nickel finish along with the high-quality zinc die-cast base material makes this knob a must-have piece for any decor. The rear-mount feature allows for ease of installation. 1-3/8 Glenview Knob, 1 per package is rated 5.0 out of 5 by 3. 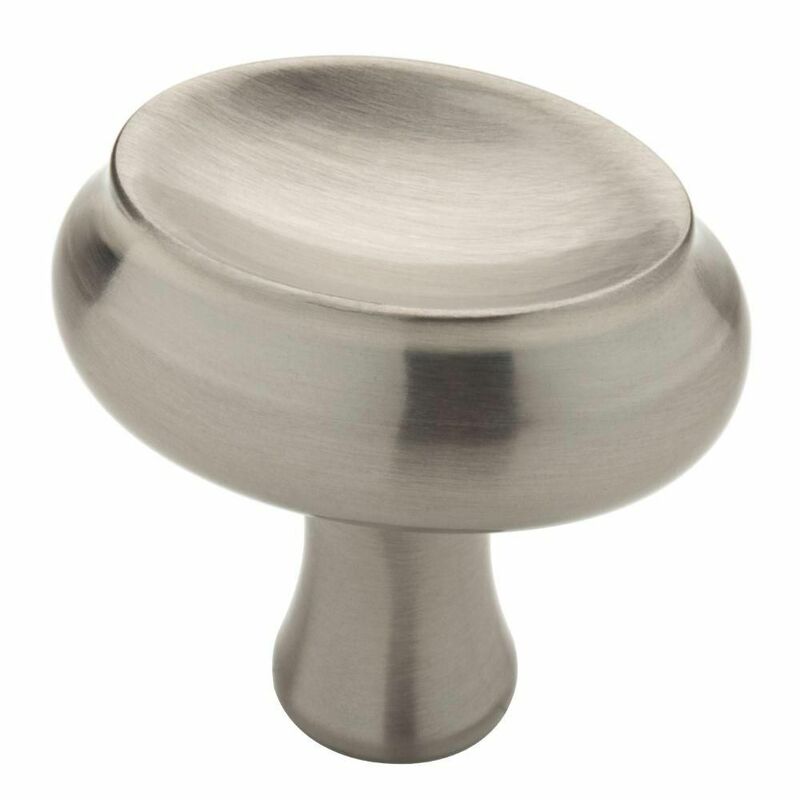 Rated 5 out of 5 by Anonymous from Cabinet knobs I totally love these stainless steel brushed and shiny knobs. Rated 5 out of 5 by 5678 from great choice These have long enough shank to get your fingers behind knob, rest your thumb on front of knob and easy opening. I needed 27 for kitchen and they look so nice with maple cabinets. Can go up and down or across and just perfect for my arthritic hands.